Home / Glo / Glo announced a new plan called GloOgaSim. 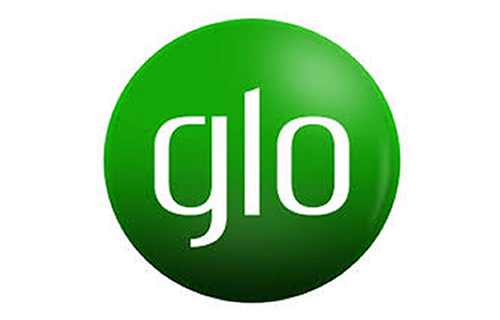 Glo announced a new plan called GloOgaSim. This GloOgaSim is a the latest plan for all glo subscribers, It gives 125℅ bonus for every data purchased. This plan is now on new sims and it's the trending packagenow for new subscribers willing to get one. The interesting past of it is that on a normal data purchased before now increases extremely higher. Let's say you subscribed for 1.5GB at a rate of 1000 naira but now with Glo oga sim you now have the access to get additional 1.5GB in conjunction for 3GB for 1000 naira, Looks somehow interesting. NOTE The previous article doesn't actually says those plan purchase price are really the real price is just an example so don't feel discouraged. 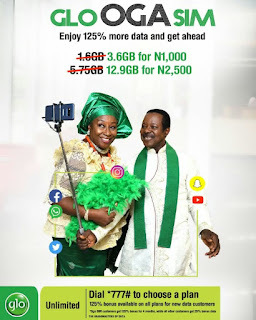 Eligible Subscribers can also have the chance to enjoy 3GB for 1000 naira only for new and old customer So far you are connected to the Glo oga sim, it's a promo that last for 4 month. When you auto renew a plan on the GloOgaSim you will be rewarded extra bonus.